Is Lebanese Christian Member of Parliament Michel Aoun fit for the presidency? Or is he playing the role required of him to gear the presidential vacuum towards demolishing the regime? What does demolishing the regime mean? It primarily means getting rid of the Taif Accord which stipulates equality between Muslims and Christians and means replacing it with a measure that stipulates a three-way-power-sharing system between Christians, Sunnis and Shiites and granting the Shiites the right to veto any national decision. Is this the aim of having Aoun become president? And do the Christians accept a president whose task is to approve a three-way-power-sharing system? The 2014 version of Michel Aoun did not find anything to say to Safavi who mainly meant that Lebanon has become an Iranian colony. How can a serious presidential candidate abstain from taking a stance regarding such a provocative statement? How can the leader of what is considered the biggest Christian parliamentary bloc ignore statements that Lebanon has become a follower of Iran and that Lebanese borders are controlled by Iran to serve purposes irrelevant to Lebanon’s, and the Lebanese people’s, interests? It’s clear that Michel Aoun thinks he can unite the Lebanese people. This, however, is not possible. The country is divided into two camps confronting one another. One camp wants to restore the Lebanese state and the other sees Lebanon as a mere “arena” used by Iran in the negotiations it’s currently holding with the international community. A child would know that Aoun is in the camp which wants Lebanon to be an “arena” linked to the Iranian-Syrian axis. Can someone who is up to his ears in a sectarian alliance, the slogan of which is “alliance of minorities,” shift to being equally distant from everyone and to becoming capable of harmonizing among the Lebanese or among those who on one hand want to restore the state and those who desire to exploit the country on another? On this basis, it seems the game which Aoun is playing or the game which someone is making him play, actually hides another game - a game that only alters the nature of the Lebanese system. It’s based on exploiting the basic weakness of he who he calls himself “the general.” This weakness is that Aoun is prepared for anything for the sake of becoming president. Let’s recall Michel Aoun when he was an officer in the Lebanese army which was under the command of Sheikh Bashir Gemayel when the latter was leader of the Lebanese Forces. This was few years before Gamyel become president. Gemayel was assassinated on Sept. 14, 1982 in well-known circumstances. He was killed upon commands issued by the Syrian regime and the assassination was carried out via a Lebanese party that was nothing more than a Syrian tool. There are no secrets in Lebanon. Everyone knows that Aoun went to military school thanks to his connections and it was late MP Edward Hanin, who hails from the same hometown as Aoun, who helped him. Hanin belonged to the National Bloc Party - party of brigadier-general Raymond Edde, God bless his soul. Raymond Edde never believed in violence, taking up arms or opportunism. Ever since he went to military school in the 1950s and up until today, there’s one characteristic that explains Aoun’s actions: opportunism. Opportunism in Aoun has gone as far as going to Syria to place himself in the service of Bashar al-Assad and not even asking a single question about the fate of the Lebanese people in Syrian prisons or the fate of a fine number of soldiers and officers who were by his side when Syrian troops invaded Christian areas, including the Baabda presidential palace, in October 1990. In 2014, we witness the end of the ridiculous game of a man who’s always been a ridiculous joke. Aoun never understood he can fool some people some of the time but cannot fool all people all of the time. He forgot that most people have a memory of their own. 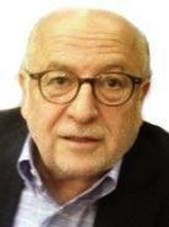 The Lebanese people know what Aoun’s current ministers and MPs are worth and they also know that the best of them wasn’t even worthy of being a doorman for Nassib Lahoud - God bless his soul - whom Aoun didn’t spare during his campaigns against Lebanese Maronite men with the minimum of ethics. How can a former army commander who once claimed to have protected the country and the Christians defend the Lebanese state and what’s left of its institutions and sovereignty by legitimizing illegitimate weapons that were Palestinian in 1969 and became Iranian after 1982 when Palestinian fighters exited Lebanon? Is the presidency worth publicly giving up sovereignty and all principles? May God bless Raymond Edde’s soul - Edde who totally refused to give up his beliefs and principles even when the presidency was offered to him on a silver platter. This article was first published in al-Rai on May 10, 2014. Is Lebanese Christian Member of Parliament Michel Aoun fit for the presidency?